Luis Manuel Otero Alcántara (Havana, 1987) is a self-taught artist who focuses on human relationships within the social, spiritual and political context of Cuba. Using the conceptual, formal and sensory tools available to him he generates disruptive gestures—objects, installations or performances—that trigger unexpected interactions and prompt individual reflection, often at the edge of legality or normative ethics. 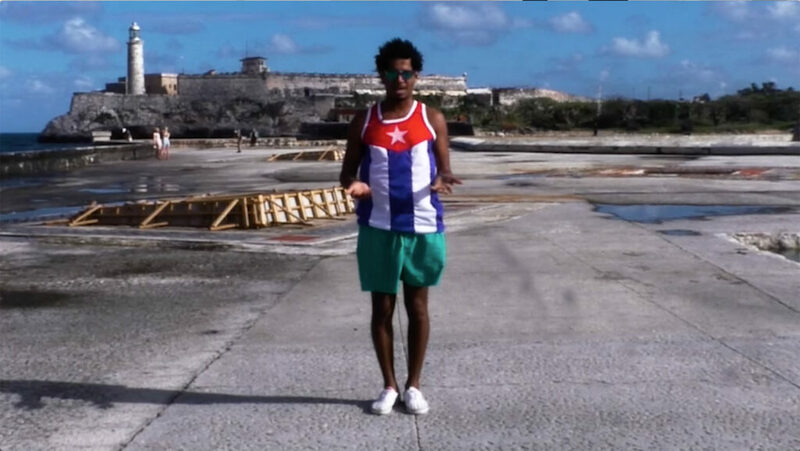 He operates both within the daily routine of the street and on a global and virtual level on social media and through a website he has co-created (Museo de la Dissidencia en Cuba). His work has been shown in group exhibitions in institutional contexts such as the Centro de Arte Contemporáneo Wifredo Lam in Havana, El Ranchito-Matadero in Madrid, as well as the Asunción Curitiba and the Havana Biennials. Otero Alcántara has also worked with various independent cultural producers, including Elegoa Cultural Productions (Canada) and Anahata (Brazil). Since 2014, most of his work has been produced and shown independently in collaboration with art historian/critic Yanelys Nunes Leyva. In the fall of 2016, the artist collaborated on a first video performance, Indian Summer Diary, a series of ten one-minute videos posted daily on Facebook, in response to his having been denied a visa on two occasions by the Canadian immigration authorities to participate in an artist residency in the Great Lakes area (Elegoa, Onsite Gallery, Plug in and American partners). Caribe Sweet extends the intercultural exploration of clichés initiated with Indian Summer Diary. It was recorded in advance to circumvent the poor internet reception and access in Cuba. On December 14, 2017, the artist also started a performance/pilgrimage from Havana to Santiago de Las Vegas’ shrine to San Lazaro in El Rincón. That night, he was arrested and detained by Cuban authorities until the eve of December 17 (San Lazaro’s celebration day). He resumed his pilgrimage immediately upon his release.